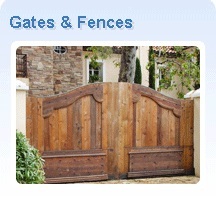 ATD Gates Los Angeles is a premier gate-building contractor servicing the Greater Los Angeles area. ATD Gates Los Angeles is licensed and bonded and it's here to give you the premier service you deserve. ATD Gates Los Angeles specializes in both commercial and residential projects, so whether you have a small, medium or large size project for your home or business ATD Gates Los Angeles is the perfect choice for you. If your home or your business require a special design at ATD Gates Los Angeles we specialize in building custom projects that are specific to your needs. We build custom wood gates, iron gates, and glass gates. 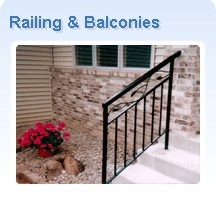 At ATD Gates Los Angeles we also build custom fences, railings, balconies, and security bars. At ATD Gates Los Angeles we tailor the project to your custom needs. At ATD Gates Los Angeles we pride ourselves in manufacturing our own wood gates, iron gates, and glass gates, as well as iron fences, wood fences, and wood railings so you receive the best quality materials in the business that will last longer and look impeccable, enhancing the look of your home or business. ATD Gates Los Angeles warehouse is located in Canoga Park and our technicians can service the entire Greater Los Angeles area. In addition, ATD Gates Los Angeles provides outstanding service to its clients supporting your project from beginning to completion. If you need an estimate please do not hesitate to contact us and our technician will come to your home or business to speak with you and build a custom project that is just right for you. ATD Gates Los Angeles' main goal is to provide our clients with outstanding quality and products that will last a lifetime. So to ensure that you only get the best, ATD Gates Los Angeles chooses carefully every piece of wood and every material detail that goes in building our gates and fences. Whether it is a wood gate, iron gate, glass gate, wood fence, iron fence, garage door, exterior or interior railing, ATD Gates Los Angeles will provide you with the very best materials. We have a large photo gallery that showcases our past services giving you an idea of the different designs we can build for you. However with ATD Gates Los Angeles, the sky is the limit, if you have a different design you want us to execute we will be glad to design and estimate for you. 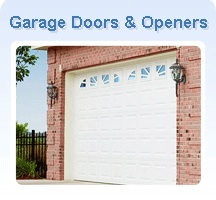 ATD Gates Los Angeles also installs and repairs gates, gate motors, chains, openers, garage door motors, garage door springs, hardware, cables, off-track, and any other related problems. ATD Gates Los Angeles also provides regular maintenance and alignment needed for a proper use of your gate or garage door.